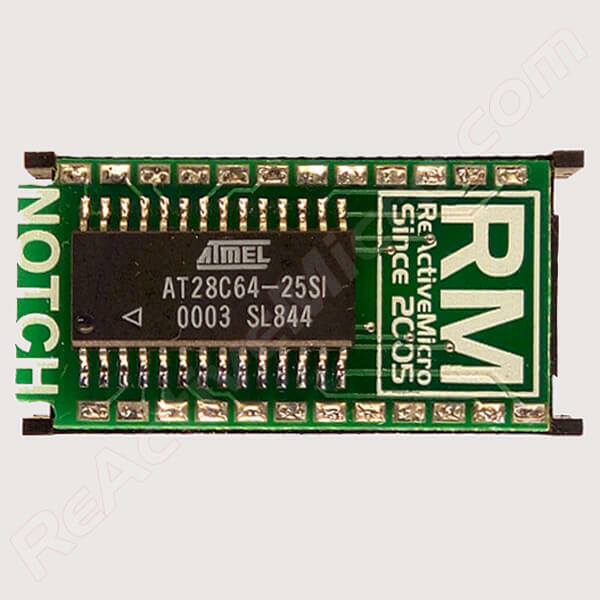 This is the 9316A to 2716 SOIC EEPROM Adapter created by ReActiveMicro. 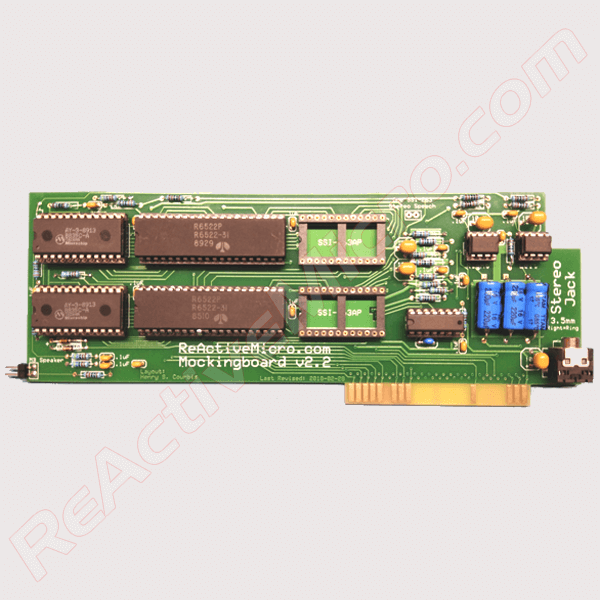 ReActiveMicro has produced several versions of the 9316A to 2716 EEPROM Adapter over the years, and this is the most current design and the least expensive. Note: Comes with EEPROM soldered to the PCB as pictured. As most Apple II or II+ owners already know, the ROMs on early motherboards were 9316A series and had some slight difference rendering them incompatible with the later more common 27 and 28 series ROMs. 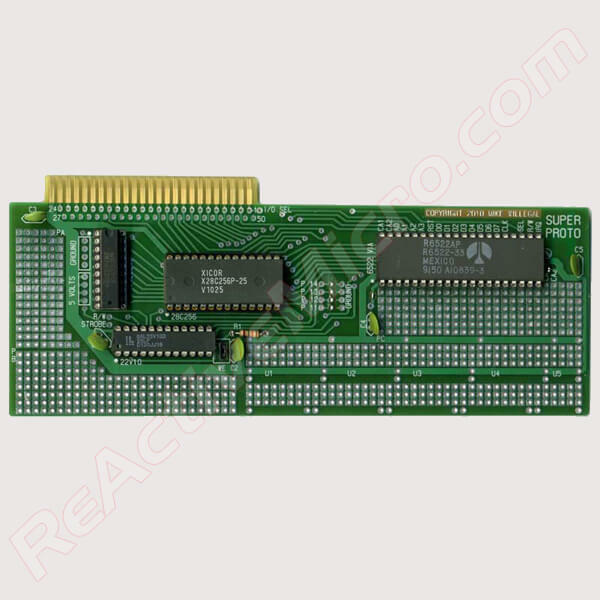 This Adapter features a 28C64 EEPROM set to emulate a 2716 EPROM and will allow you to use this newer ROM in places where 9316B/2316B ROMs are used. It's main feature is a built in Inverter which converts the Chip Select line and allows the ROM to be “switched out” when ROMs on the Language Card are used. The “upper” space in the 28C64 EEPROM is disabled and not able to be seen by the Apple II/+. The ReActiveMicro design features a gold plated DIP Plug which connects to the II/+ motherboard. The SOIC ROM is soldered to the Adapter and is NOT removable. Total Adapter height should allow proper clearance of cards in the Slots. NOTE: This EEPROM comes programmed with the Apple II/+ ROM image of your choice. Please let us know which image you would like. 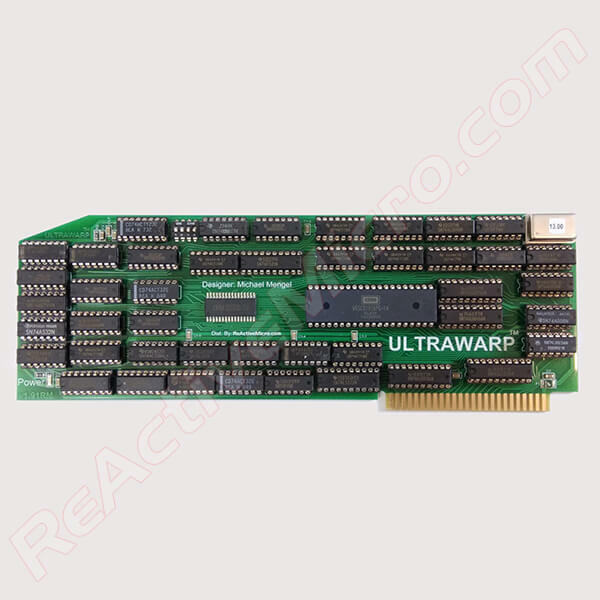 This SOIC Adapter is lower cost than our DIP Adapter which does the same thing, however with the DIP Adapter the ROM is removable and reprogramable. 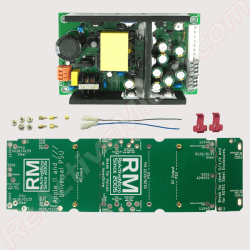 The ROM on the SOIC Adapter IS NOT removable or reprogramable.